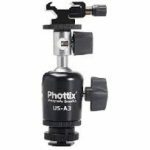 The Phottix BH-Mini, a multi-use photographic ballhead. 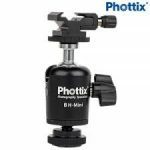 Made from tough and durable quality aluminum alloy and fireproof PA66 plastic, the BH-Mini is ready for any photographic situation. 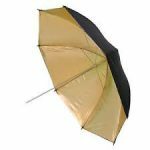 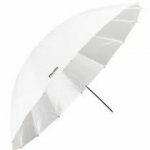 Para-Pro Reflective Umbrellas come in 40″ (101 cm), 60″ (152 cm) and 72″ (182 cm) sizes. 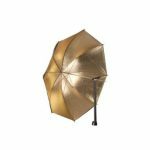 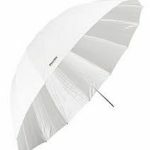 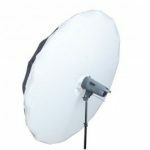 The Phottix Two Layer Detached Reflective Umbrella (101cm, (40″)) is a black cover that turns it into a black/white reflective umbrella. 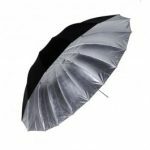 Two very different effects from one umbrella. 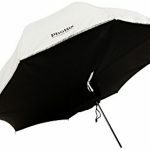 White inside, black/silver outside. 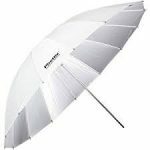 Product compatibility: Sigma lenses are compatible with is available to fit Canon, Nikon, Pentax, Sigma and Sony cameras.